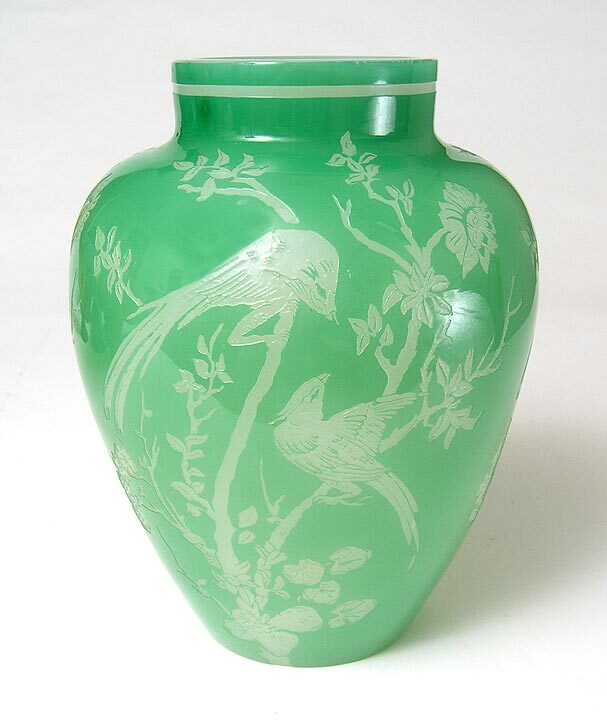 Wonderful quality acid-cut back vase with lovely bird decoration. Unsigned. Mint condition. 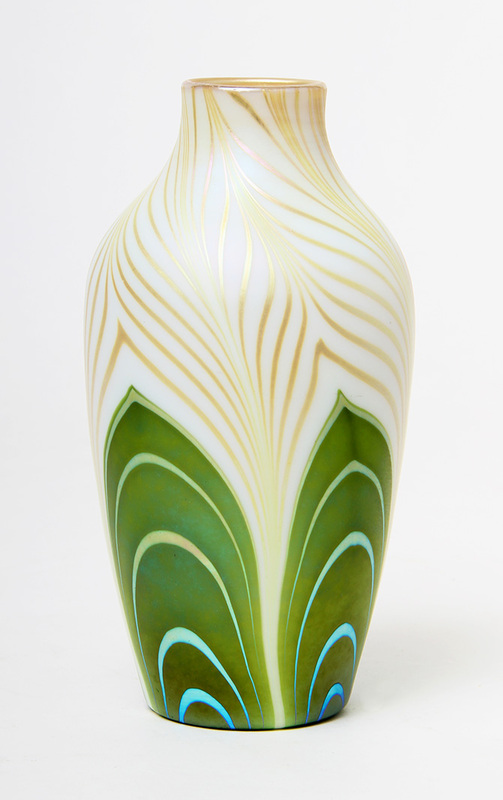 Lovely example of a Tiffany Favrile mini vase, with busy pulled feather decoration. Priced for quick sale. 2½" tall. Signed. Mint condition. 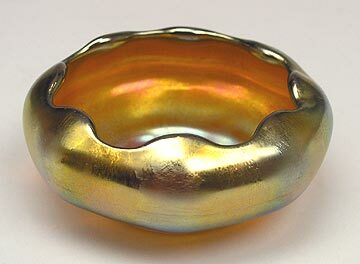 This is a very desirable example of decorated Steuben, called drag loop, with extensive gold iridescent veining in the background. It's everything you'd like it to be. Nice size at 7" tall. Signed. Mint condition. 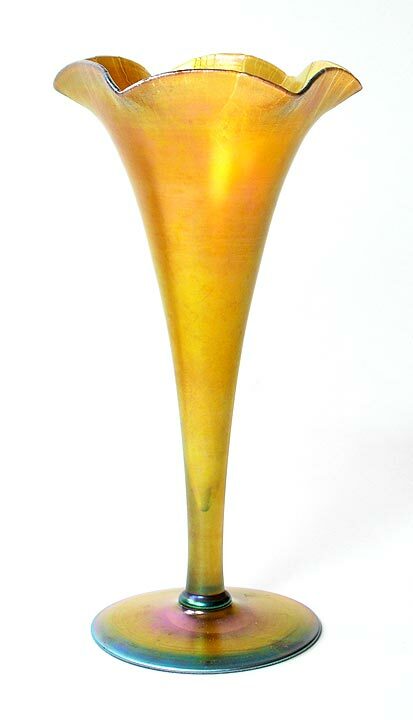 Lovely mini vase with fluted stretch glass rim. Excellent iridescence. 4" tall. Priced right. Signed. Mint condition. 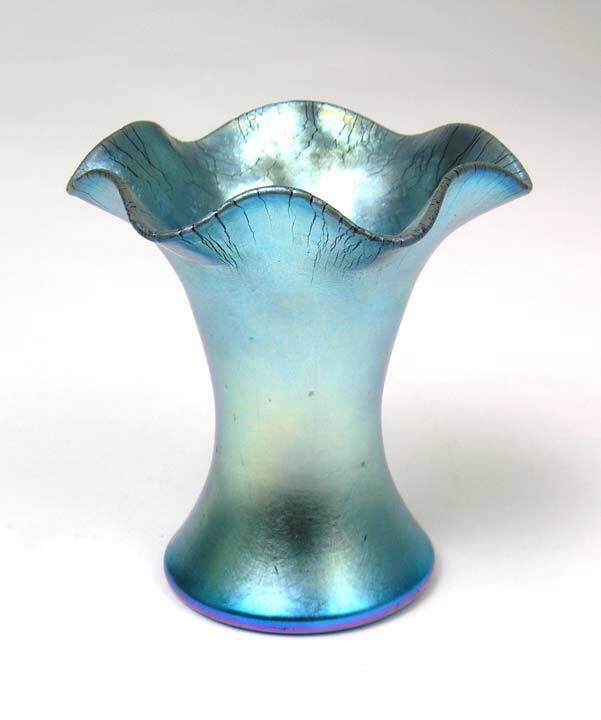 This shape is sometimes referred to as a shade vase as the shape is very similar to shades that Steuben produced. The peacock blue color and iridescence are incredible. 6" tall. Signed. Mint condition. 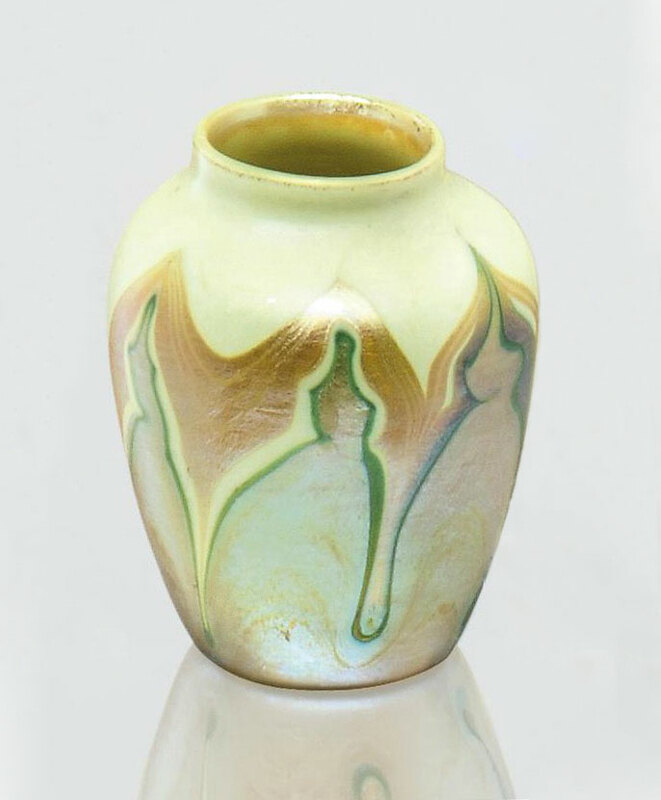 This vase is classically Steuben. 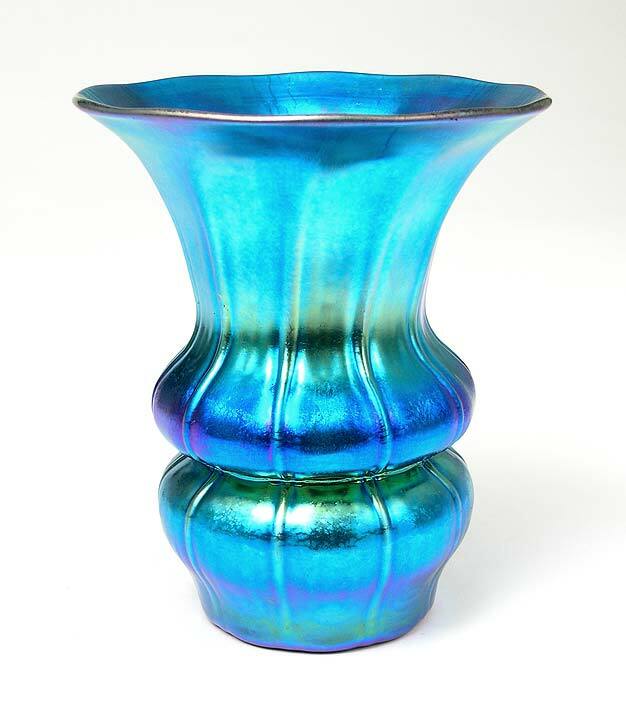 What makes this example special is the gorgeous rich blue color with superior iridescence. 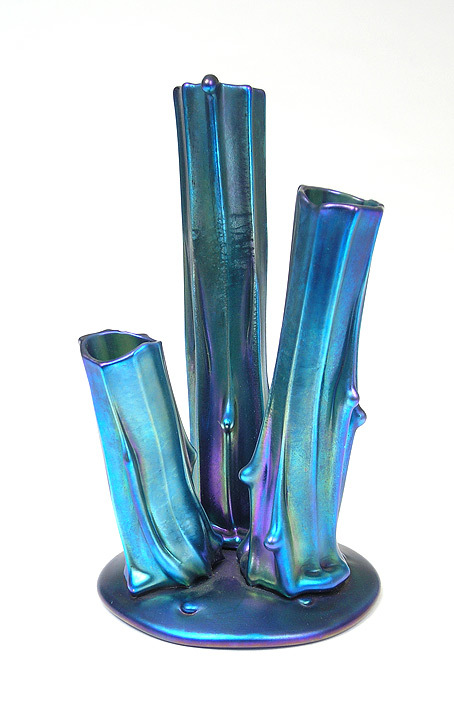 6¼". Signed. Mint condition.